Lets face it, we all like to believe that we do our best work in the dark. Well this is your chance to prove it! This is an event where we will all come, hang out, eat some food, throw some discs, and have an amazing time! Schneiter's Bluff is putting on this one of a kind event that will be a bit different from other glow rounds you have played. They already put on glow Ball golf tournaments, and have the lighting and gear to light up fairways, tee boxes, etc. They have added basket lights and are ready to host this incredible experience. This will be a 2 man/woman scramble. What division you play in will be based on the higher of the two ratings, of the players in your twosome. 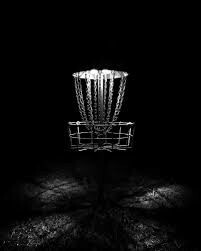 If you don't have a PDGA rating, please register in the division you believe you would compete the best in. If you need help choosing a division, just ask and I'll help you out. Prizes will be awarded to the top finishers in each division. Sorry, No Carts for this event.